Veterans and newcomers are in the mix this week, in equal portions. Representing the first category are Jack Scott, T.G. Sheppard, George Jones and the enduringly awesome Don Henley. New to the column are Mike & The Moonpies, AJ Kross, Alexandra Demetree and Backroad Anthem, all of whom show much promise. 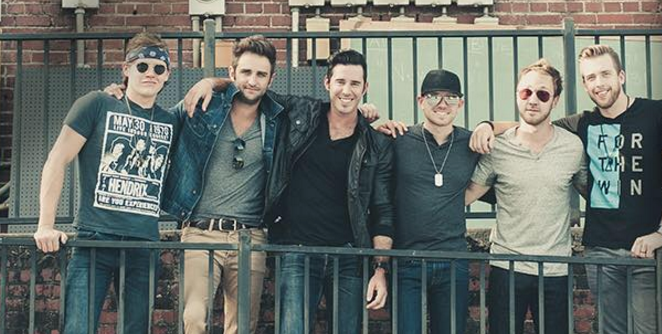 Backroad Anthem, a country band from Fayetteville, Arkansas, wins the DisCovery Award. 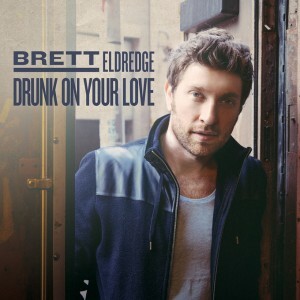 The Disc of the Day belongs to the red-hot Brett Eldredge. -I like the stacked vocal harmonies on the choruses very much. This instantly catchy thing is headed straight to the top. Take it to the bank. -Nice work all around. The production is punchy and propulsive. The song is extremely well written. She sings like a bird in the sunshine. The key change in the bridge is super ear catching. -T.G.’s new CD is titled Legendary Friends & Country Duets. On it, the veteran hit maker teams up with Jerry Lee, the Oaks, Merle, Willie, Delbert, Crystal Gayle, Ricky Skaggs, Lorrie Morgan, B.J. Thomas, Mickey Gilley and even the late Conway Twitty and, here, George Jones. The departed Possum sounds surprisingly good with T.G. on this light hearted, charming ditty. Twangy, uptempo fun. -Very modern and electronic sounding. The track throbs with energy, and youthful voices ring on the ultra tuneful song. Imaginative, listenable, professional and extremely commercial. Somebody sign these guys. -Breezy-easy, smooth country rock from the Lone Star State. Open-highway music, if a bit on the bland side. -The production is superbly pristine, with a heartbeat rhythm, sighing steel, chiming guitar work and echoey open spaces. The song sounds like a country classic. Henley’s vocal is, as always, a thing of perfect wonder. Goddess Trisha Yearwood shadows him in angelic harmony. You will not find a better recording on the market today than this legend’s Cass County. Buy it. -He has a warm, inviting singing voice. The song is a solid, sturdy construction. The production builds beautifully around his performance. I like this a lot. Who is this guy? -You music nerds out there are going to be thrilled when I tell you that the great Jack Scott is back with his first new album in 50 years. Canada’s finest classic rock-and-roll stylist immortalized “My True Love,” “Burning Bridges,” “Leroy,” “The Way I Walk,” “Goodbye Baby,” “What In the World’s Come Over You” and more in 1958-61. Still touring on the rockabilly circuit, he went to Finland to record his Way to Survive comeback CD, which mainly consists of country chestnuts. He kicks it off with a snappy, rockabilly reworking of this 1948 Red Foley oldie. For a 79 year-old guy, he sounds pretty good. -She tries to give the ballad a plaintive, heartbroken delivery. I was unmoved. There was something rather mannered and mechanical about it. -This time out, the Mavs executive an echoey ballad of romantic anguish. Deep twang guitar and searing tenor vocals give it a glowing, simmering heat.